Is it hot in here? 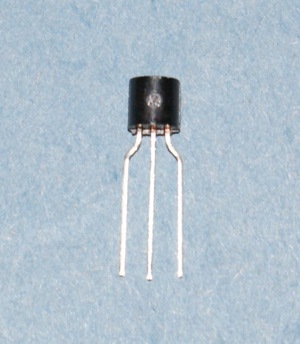 This digital temperature sensor will tell you, with 9 to 12 bit resolution! Uses only 1 wire to the Arduino or other microcontroller for communication. With the OneWire protocol, you can operate a large number of these sensors from one Arduino pin. Simple to use and highly accurate. See our tutorial for instructions and example Arduino software code for this sensor. Are you looking for a water-proof version of this sensor? We don't have it, but adafruit does.